I always loved this gong. and the only conversion of this is too big for me and has shadow issues so well I decided to find the mesh convert resize and recolor it. merged file seasons required lanterns have same color options but with no post. and the free standing post has 11 color options both still found under outdoor lighting. Just a little edit of the Llama Co.Outdoor Lanterns removed the post and recolored the free standing one. I made to these Items a bit more versatile and easier to use since the lanterns have no post you can resize them an raise and lower them too. S3 to S4 conversion . 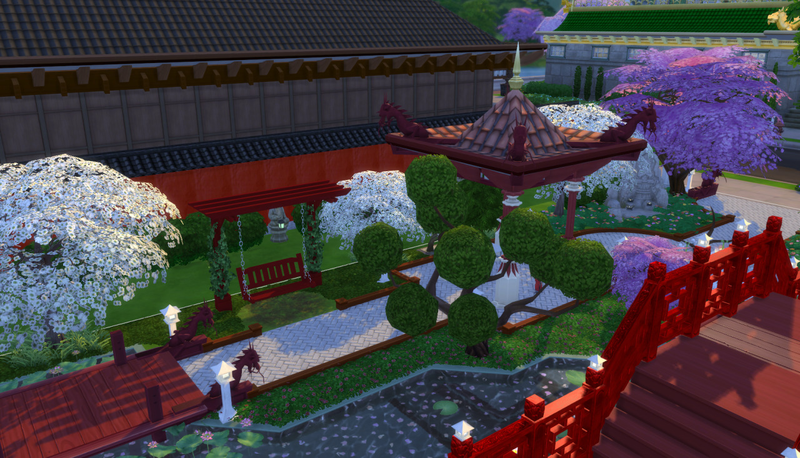 these gates are totally rock’en too bad I’m not able to create fences with sims 4 studio to match though.